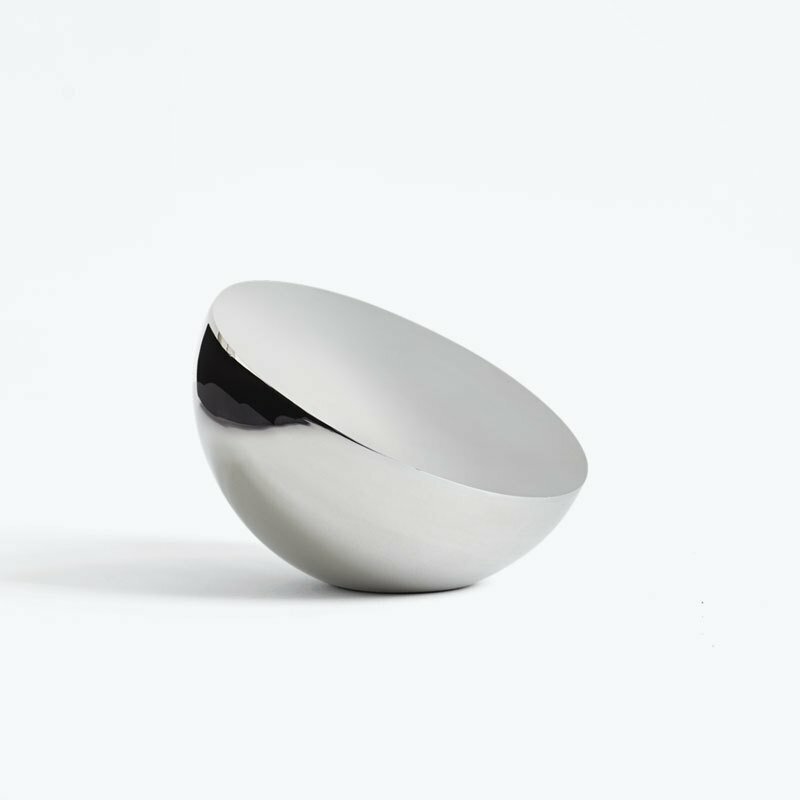 Aura, designed by Bjørn van den Berg for New Works, is a beautiful mirror in the shape of a semi-sphere. Unlike traditional mirrors, Aura is not just a reflecting surface but a tactile, three-dimensional metal object with a simple and sculptural form. The table mirror is designed to fit in two hands and has a pleasant sense of weight. Aura mirror makes a stunning interior element both alone and in clusters.